or have one Custom made. This sign is approx. 60 inches long and 18 inches high, it is made out of cedar. 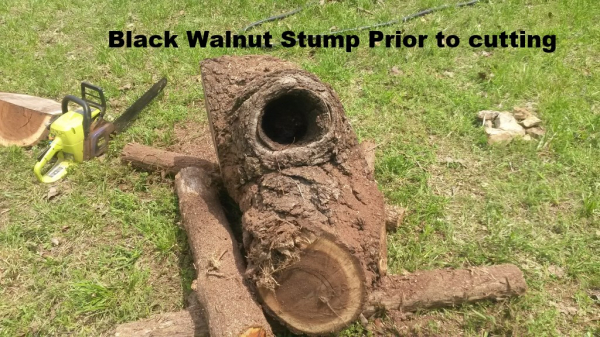 The main body is a half log routed and set on several smaller logs. All of my signs are coated with at least 3 coats of Marine Spar Varnish for outdoor use. This sign is approx. 3 feet long and 2 foot wide it is 3 inches thick. 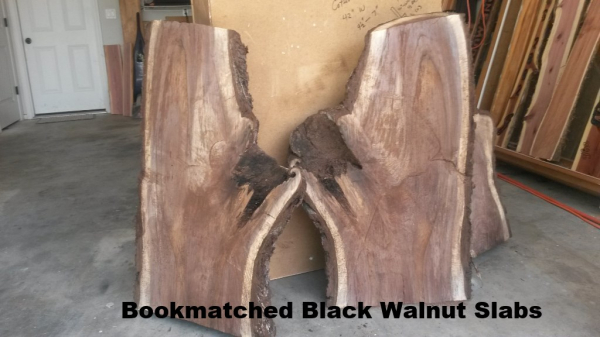 This Black Walnut Slab was the actual tree from the cemetery which was cut down due to it's dying. The picture in the sign is the actual tree from which this sign was made. This sign was made for the City Of Cotter Ar. When I cut this slab i also had a bookmatch of this same slab, so we made 2 signs with the other being just opposed to this one. All orders are handled on a first come first served basis. Most orders can be shipped within 2 weeks, providing it's not requiring a special wood to be used. All my work comes with 100% customer satisfaction, if your not happy, I will gladly refund your money, whatever the reason. I stand behind all my craftsmanship. I do cut and process all my own wood. 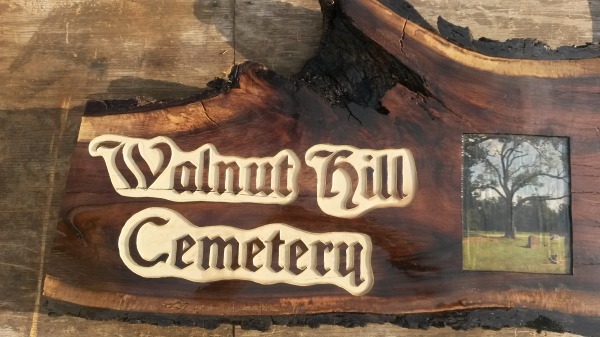 If you have a piece of wood that you wish to make a sign out of, let me know, and I'll do my best to make that happen for you! Most of my Cedar signs are not finished on the backside as to allow the Cedar aroma to smell through. 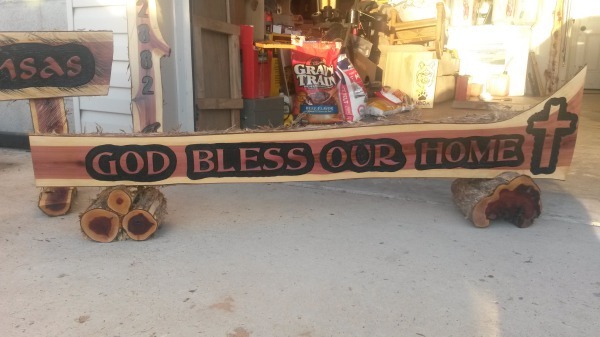 Please check back often as we will be posting more pictures of customer signs and adding Custom made Tables, Bird Houses, Fireplace Mantles, Cedar Chests and many more one of a kind pieces for your enjoyment. Thank You!